Let's be real: This number could be much better, but I've written before about how I struggle with emotional eating, especially stress eating, and this past week has been particularly stressful. I had quite a few days where my mind was completely pre-occupied with food the entire time and I literally spent the whole day thinking about eating. I don't have time to go into the details about it right now, but I'll probably write a post about it once finals are over because I think it's something that a lot of people can relate to. The fact of the matter is that I am going to have bad days, and I have learned to just accept that and really take advantage of all of the good days I have. Just like a few days of healthy eating is not going to make me drop 50 pounds, a few days of crappy eating is not going to make me gain 50 pounds. The two things that I focus on to not let things get out of control are 1) don't let those bad days turn into bad weeks and 2) keep hitting the gym! Working out always makes me feel better about myself and motivates me to do well, no matter what I've eaten. Is it Thursday afternoon yet?? Hello! 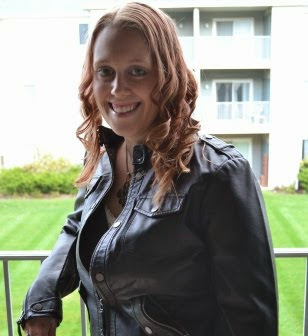 I'm Krista, a 25 year-old pharmacist living in Traverse City, MI. Three years ago, I lost over 100 pounds with diet and exercise, but unfortunately I have gained a big chunk of it back. I'd love for you to follow me on my journey to lose the weight (AGAIN) and get healthy! I'd love to hear from you! You may contact me at healthyberg@gmail.com. I am not a registered dietition or a certified personal trainer. All of the content on this blog is about my own personal experience and what works for me. If you need help getting started with a weight loss plan, please consult your physician.